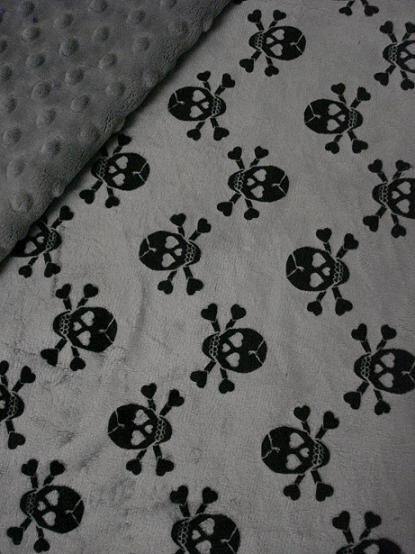 Minky, Grey Skull baby blanket. You choose accent color. 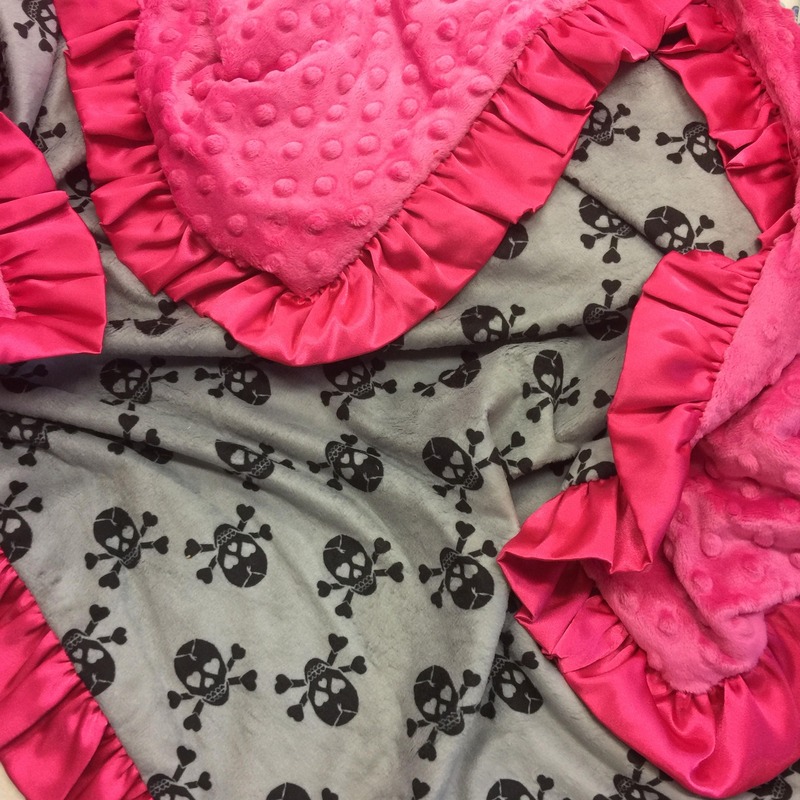 This luxurious minky blanket has your choice of minky skull on top your choice of solid minky dot on the back. This blanket is made to order. The childs name can be added at checkout. We can use any embroidery font. Contact us with any questions.